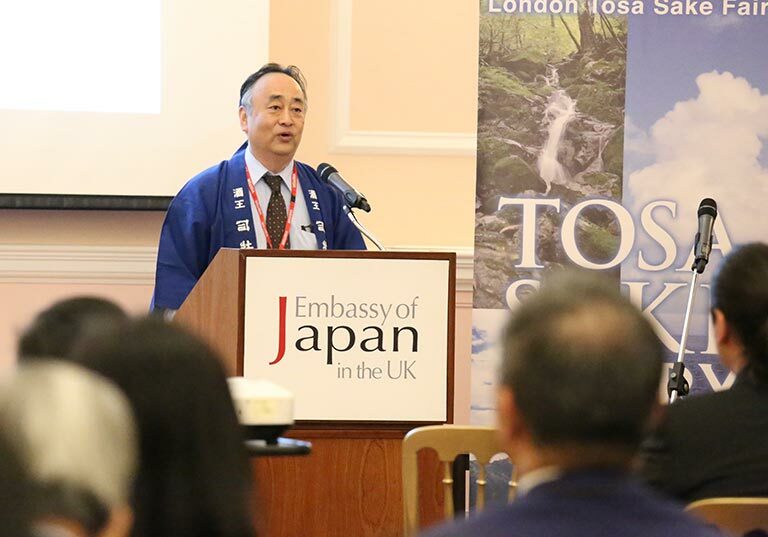 On the 17th September, Kochi prefecture hosted a grand sake event at the Embassy of Japan, showcasing the best of Tosa sake and food culture to London’s trade and sake lovers. 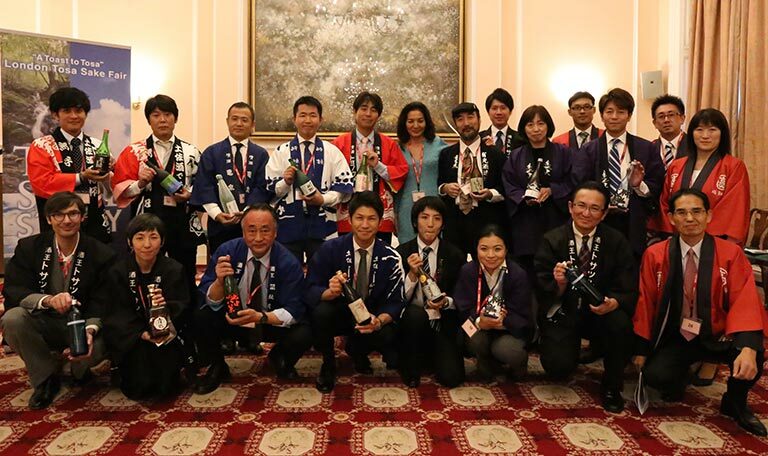 Nine sake makers out of Kochi’s 18 came to London to promote the region’s sake: Bijofu, Tosatsuru, Akitora, Tosa Shiragiku, Toyonoume, Suigei, Kameizumi, Tsukasabotan and Mutemuka. 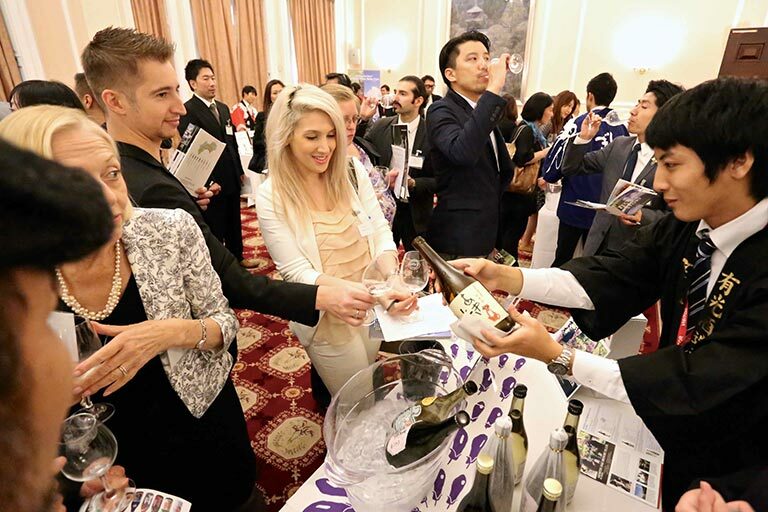 With the hospitality of our charismatic sake makers and supporters, the house was on fire – job very well done! Kochi Prefecture, once known by the feudal name of Tosa, lies along the Pacific coast of Shikoku in the South of Japan, at the southernmost limit of sake production. 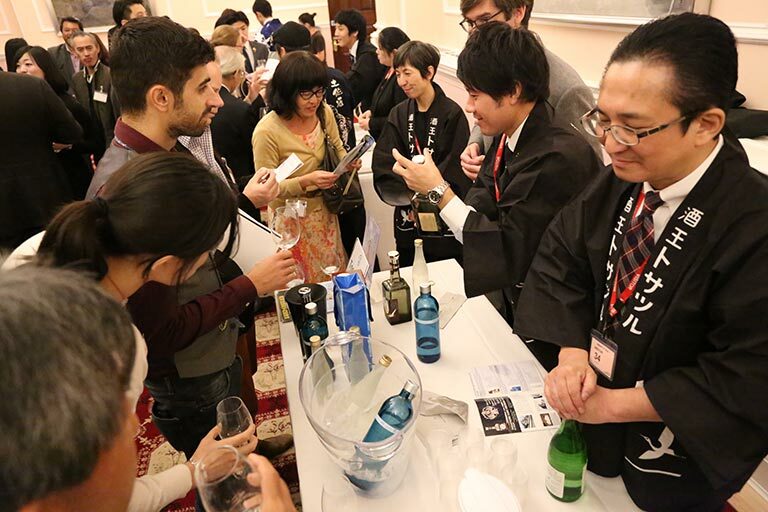 It is where we can find the liveliest sake culture and where a passion for the quest to create new sake continues to burn. Tosa sake has a very unique terroir, blessed with the purest mountain water, the longest hours of sunshine, unique local sake rice varieties and original ginjo yeasts. These yeasts manifest their uniqueness through distinctive apple and banana flavours in the finished sake. 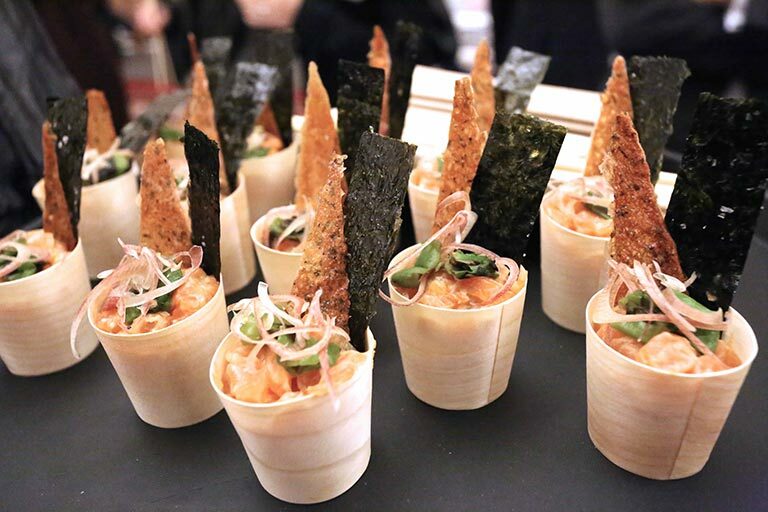 The history of sake making and the sake loving culture of Tosa stretches back over 1000 years, and the sake is widely known for its ‘tanrei karakuchi’’ character, which means ‘crisp, light and dry’ – a perfect accompaniment to meals that one doesn’t tire of drinking! 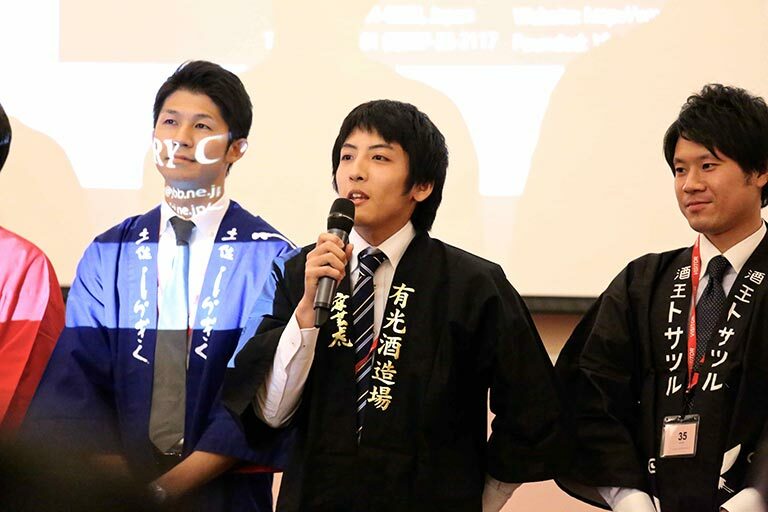 After a diligent year long preparation, Kochi prefecture provided a well-organised package of sake information couples with a short film to communicate the prefecture governor’s message. 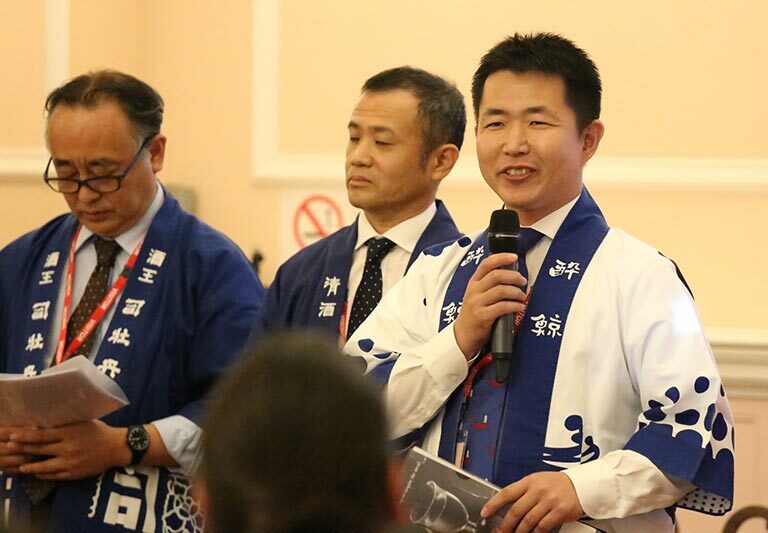 To start, Mr Akihiko Takemura from Tosa Tsuru introduced Kochi and its sake culture, while Rie Yoshitake from the Sake Samurai Association covered the unique properties of Tosa sake. 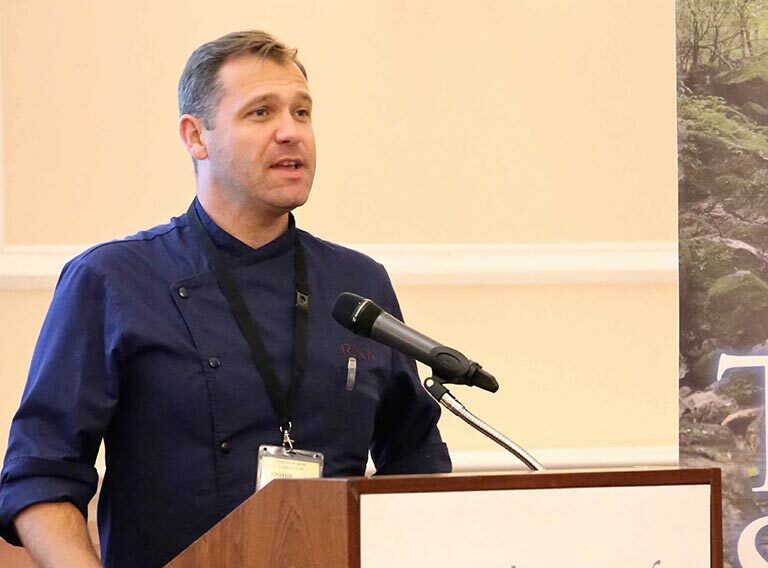 Mr Hamish Brown of Roka restaurant talked about his fun experience in Kochi before serving three sake matched canapés, followed by Ryu Okada from Kanpai Cocktails on the art of sake cocktail making. 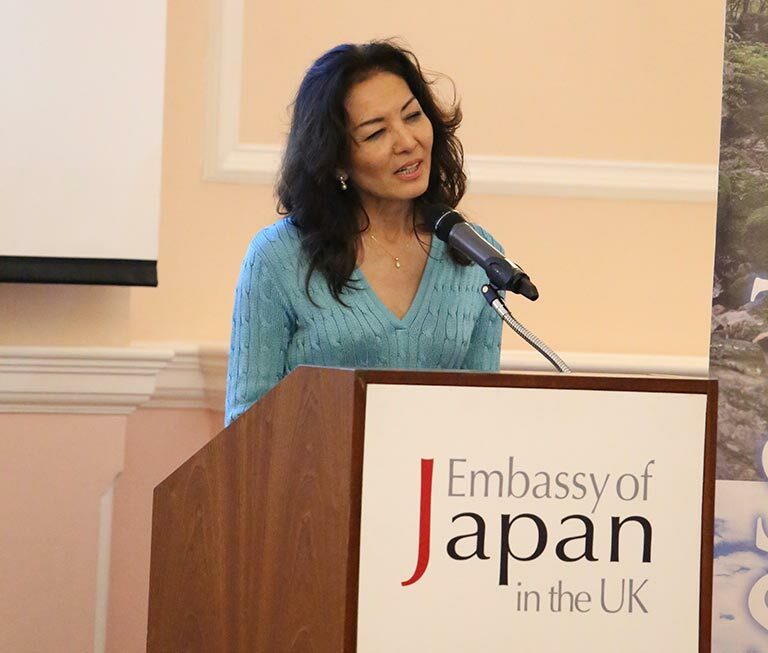 From the Kochi prefecture government, Chikako Yamamoto introduced a variety of specialty products from Tosa. 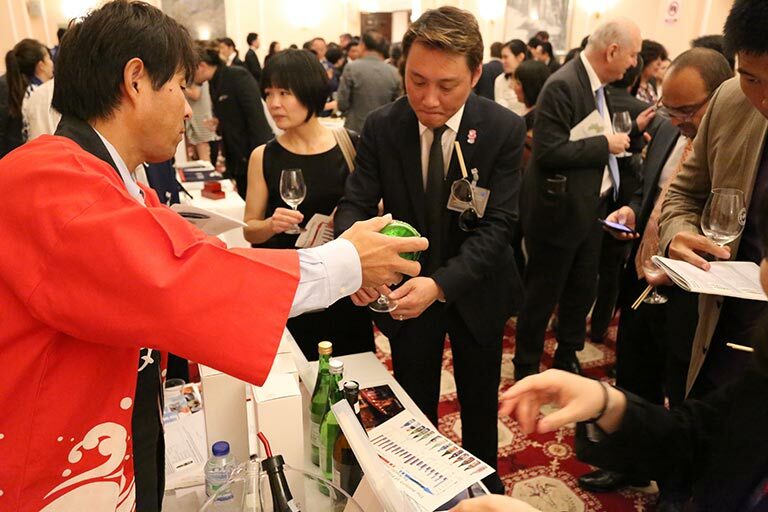 At this oversubscribed event, our lucky guests were delighted to discover Tosa sake’s purity and elegance, and enlivened by the joyful spirits of our Tosa sake ambassadors, who came to help us navigate a new frontier of sake.